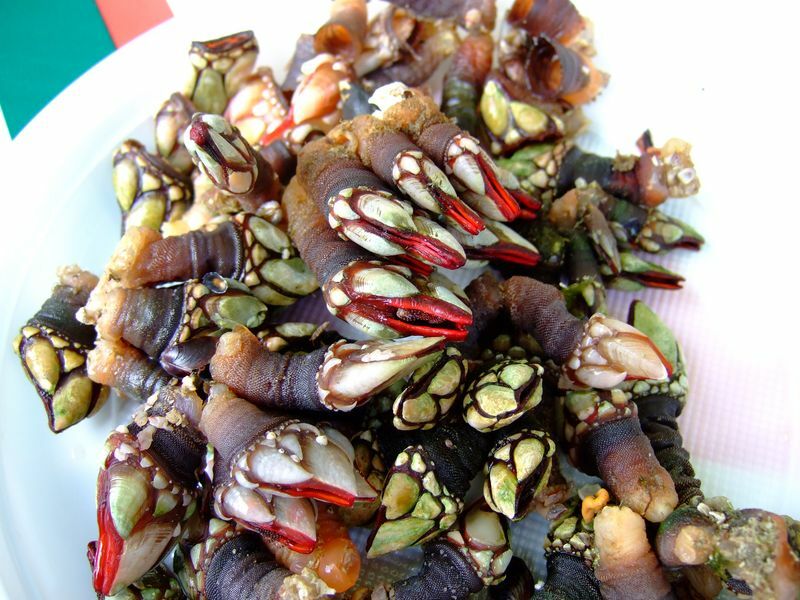 Tube shaped, as thick as an index finger, and about three inches long, percebes (gooseneck barnacles) grow in clusters on rocks along the coasts of northern Spain and Portugal. They are expensive because of their scarcity and the difficulty and danger involved in gathering them. Harvesters must wait for low tide and then scale the sharp rocks where the barnacles are growing, always keeping an eye on the heavy surf that threatens to sweep them away. On one end, the barnacle is attached to a rootlike cluster on the rock; the other end looks almost like a hoof with whitish nail-like pods. If I hadn’t already developed a taste for them and instead saw them for the first time, I probably would raise my eyebrows at the sight of these prehistoric-looking specimens. But take my word for it, if you are in Spain and see percebes, order some even if they are expensive. 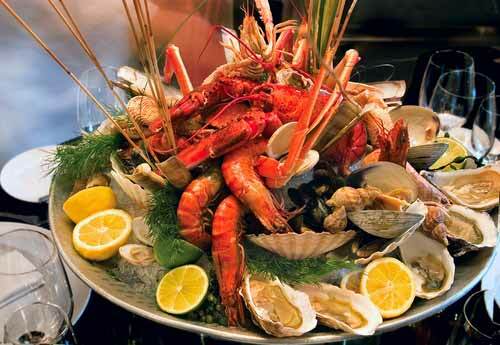 They are among the most delicious morsels the sea has to offer. In America, these tasty creatures grow along the Pacific coast all the way from Alaska to Chile. The Chileans value them highly but, to my knowledge, they are not appreciated in the same way in the rest of the Americas. If you happen to come across percebes in a market, they are easy to prepare. Just place them in salted water, bring them to a boil, cook for 10 minutes, turn off the heat, and allow them to cool in the water. Drain them and serve warm or at room temperature. Eating them is just as easy. Pierce the outer skin near the “hoof,” tear it off with your fingernails, and then bite off the entire pink stalklike flesh.